It’s the worst time in history to be a clown. Haven’t they suffered enough? Stephen King, author of 'It' and the murderous, sewer-dwelling Pennywise, was scorned repeatedly at a recent clown convention. 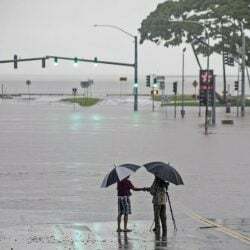 BLOOMINGTON, Minn. – This has been a terribly sad time for clowns, those purveyors of happiness whose recorded history dates back to ancient Greece. Last year was possibly the pits. It has been one packed clown car of woe. And it comes on top of decades of portrayals of depressed, malevolent and downright crazed clowns in movies and on TV, not to mention in real life: Krusty on “The Simpsons,'” Zach Galifianakis on “Baskets,” Twisty on “American Horror Story,” the Great Clown Scare of 2016, Insane Clown Posse, Heath Ledger’s Joker, Jack Nicholson’s Joker, John Wayne Gacy. Recently, 240 entertainers assembled for the World Clown Association convention in Minnesota. In March. Which prompts the question: Haven’t clowns suffered enough? Ah, but you can’t keep a good clown down. The craft requires putting on a good face, after all, and clowns remain a genial, outgoing, colorful lot, ready to laugh off their cares. Clowns from across the United States and nearly a dozen countries gathered to consider tiny trikes, colossal footwear and the future of their craft. The convention boasted as many women as men, mostly of a certain age, though there were seven junior “joeys,” industry nomenclature after celebrated Regency-era performer Joseph Grimaldi, who promoted the harlequin clown and whiteface image still familiar to this day. There were caring clowns who visit hospitals, ministry clowns who combine faith and silliness, birthday clowns and parading clowns. There were clowns who work so frequently that they claim “entertainer” on their tax returns, and those who, after retiring from foolish office jobs, perform on holidays and summer weekends, peak time for clowning. 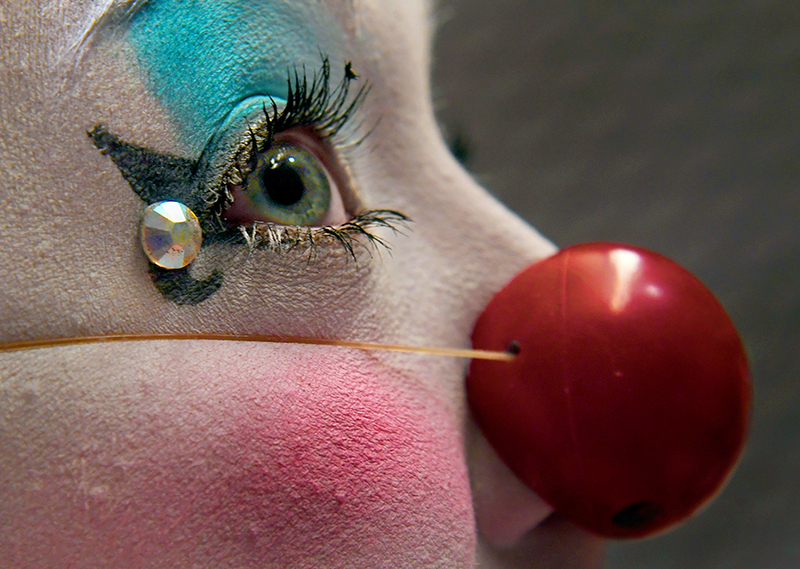 Julia Bothun, a former Ringling Bros. clown, applies the final touches to her makeup. Exhibit booths featured the latest in rubber chickens, oversized pants, magic tricks and latex noses. Competitions included appearance, originality and paradability – that is, the ability to walk and jest simultaneously. And yet behind everything loomed the shadow of the recent troubles. 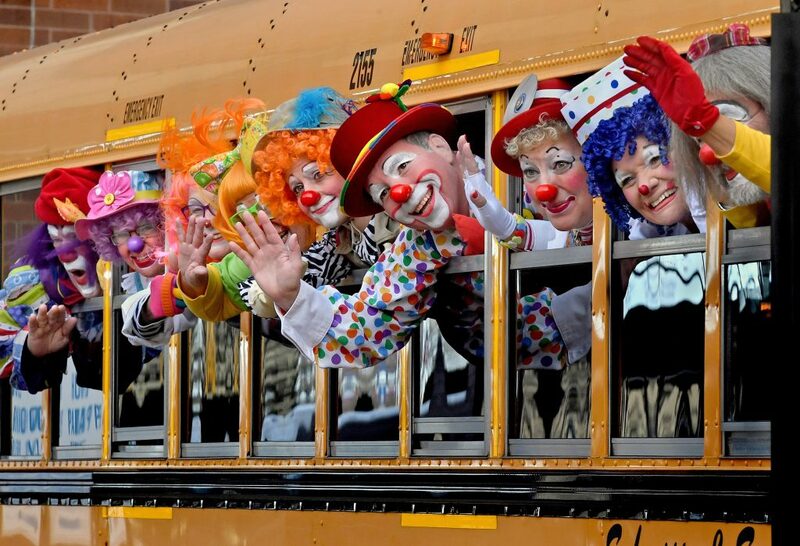 When it came time for the top 20 paradability competitors to journey from the convention hotel to the nearby Mall of America, their fellow clowns were strenuously advised to abandon all whiteface and costumes in public. Stephen King, author of “It” and the murderous, sewer-dwelling Pennywise, was scorned repeatedly. 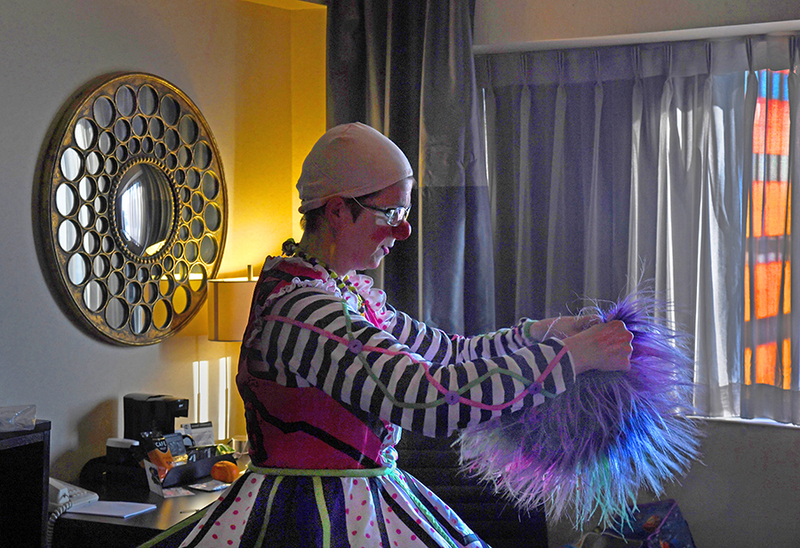 Former Ringling Bros. clown Tricia “Pricilla Mooseburger” Manuel gets ready to don her wig before her World Clown Convention performance. The solution, clowns say, is staring them in the face: Lose the greasepaint. “When I talk to my clients, I don’t want to give them an excuse not to hire me. Makeup might scare people,” says Lee “Lew-e” Andrews of Forsyth, Georgia, who happens to be sitting behind a vendor table stacked with clown makeup and setting powder. “Most of the time I perform with no makeup,” says Jeff “JB Milligan” McMullen, of Appleton, Wisconsin, a former Ringling clown and regional Ronald McDonald, who averages 225 annual performances, including overseas. Yet the mask remains a liberating tool for some clowns. After almost a century and a half in operation, Ringling Bros. closed in part because of animal rights advocacy. But audiences were already on the wane. Clowns became collateral damage. Robin “Pinkie Bee'” Bryan of Jacksonville, Fla., left, and Kristine “Lilleigh” Dietrich of Menomonee Falls, Wis., wait in the hotel hallway for the paradability contest. Top contenders later entertained at the nearby Mall of America. Recent Ronalds say they are barred from discussing the program and the decision, but the convention was rife with theories even as attendees mourned the loss of steady employment. One former Ronald, who believes their number was as high as 300 nationally, said he earned $64,000 in 2016, plus a $2,000 expense account, a car, and health and dental insurance, a fortune in clowning. Now, that sort of income and security may be disappearing. Which makes someone like Robin “Pinkie Bee” Bryan very sad. 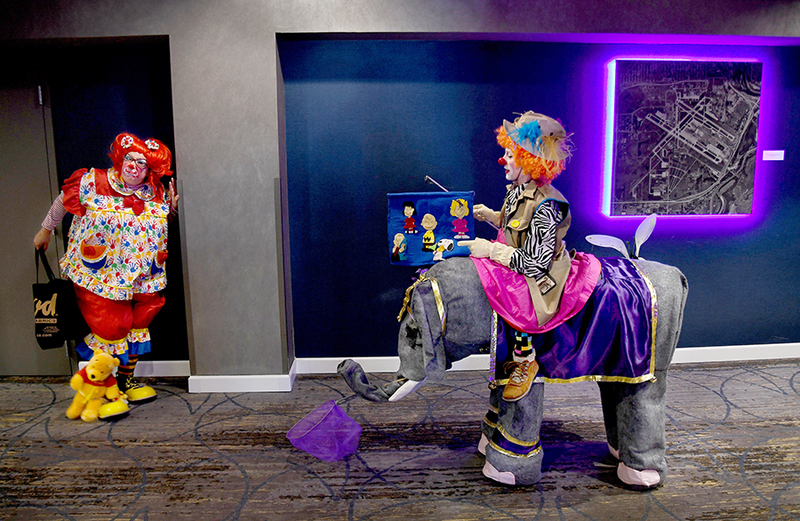 Bryan, 49, of Jacksonville, Florida, parades around the convention in her orange ponytail “Yuki” wig – she owns seven, all the Day-Glo colors of the rainbow – a polka-dot ensemble, and Spear’s custom yellow saddle shoes, at $400 a pair the Guccis of clown footwear. Bryan is a midlife clown. She used to work at convenience stores and in customer service. For the longest time, she never even saw a live clown act. Once she did, she knew it was the life for her. Clowning has that effect. Many clowns claim to have been born, not made. Actually, she’s crying now, smearing her makeup. Pinkie Bee is one verklempt clown. Pinkie Bee won All-Around Clown, judged the best of the lot at her first convention. Without shedding a single pound. Taylor Moss, of Lebanon, Indiana, offers hope for the future. The 14-year-old is an actress, an aerialist, a dancer and a model with a sublimely photogenic face. But what Taylor really wants to do is to clown. “I’ve loved clowning since the third grade,” she says, sitting with her mother in a hotel convention room, missing a week of school to take workshops and learn from the veterans. “Are you sure you want to go down this road?” her mother, Brandy, recalls asking when Taylor first expressed interest. “I had a lot of doubt.” Especially given what clowns have been going through. Still, even this novice clown has had her moment on the clowns-are-terrifying bandwagon. A couple of years ago, she landed a Los Angeles agent and scored an audition, going up against hundreds of other kids, for a movie that went on to gross $700 million. Brandy, though not a clown herself, was aghast at her clown-adoring daughter’s desire to try out for this particular film. “You cannot do this part,” she admonished her.